Ready or Not, Here It Comes! 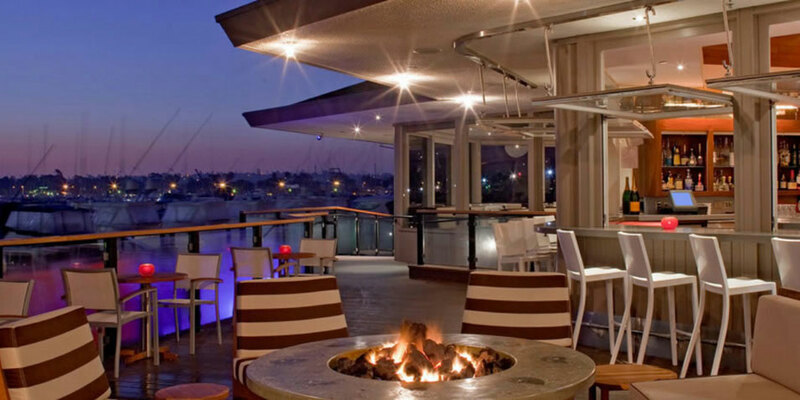 Stop worrying about the U.S. presidential election and start worrying about something far less controversial and much more fun, the 2016 Aramco Hafla Annuitants Reunion at the Hyatt Regency Hotel & Spa in Monterey, California starting Monday, the 24th of this month. Here's an overview of what to expect to help you prepare for what will surely be a memorable time. LAST MINUTE HOTEL RESERVATIONS. Discounted room rates ended on the 6th, but you might still be able to reserve a room by checking the hotel's website at https://monterey.regency.hyatt.com/en/hotel/. DOUBLE CHECK YOUR EXISTING RESERVATIONS. Event organizers report that they have noticed that a number of attendee reservations at the Monterey Hyatt do not include Wednesday night, October 26. The final organized dinner for the Hafla is scheduled for that night. If you plan to attend that dinner, they suggest you double check the details of your reservation to make sure everything's okay. GETTING THERE. If you're flying in, Monterey Airbus shuttles provides service to the hotel from both San Francisco International Airport (SFO) and San Jose International Airport (SJC). Travel time is 2 hours from SFO, 1 hour from SJC. The standard drop-off point is downtown Monterey, but arrangements can be made to be dropped off at the Hyatt. Contact Monterey Airbus directly for this option. Phone (831) 373-777; (813) 646-5466. Website: www.montereyairbus.com. PARKING. The Hyatt Regency Monterey provides free parking. SHARE YOUR MEMORIES. A team of archivists from the King Abdulaziz Center for World Culture in Dhahran will be on hand in Monterey to conduct interviews with annuitants interested in participating in filmed oral-history interviews. If you'd like to participate, it might be a good idea to jot down some notes about the memories you'd like to share beforehand. If you would like to be part of the oral-history project and can spare one hour from your reunion schedule, please download the attached form. Once filled in, send it to Farah Alsharif at [email protected]. Your one-and-a-half-page biography form will provide the team with background information and assist interviewees, to gather their thoughts and reflections in advance of the interview. Please supply two-time slots that you expect to be available for an interview at the end of the form and return it to the same e-mail address, [email protected]. Interviews will be carried out on an hourly basis, from 9 a.m.-4 p.m. daily, Oct. 24-26. A FEW SEATS MAY STILL BE AVAILABLE. Organizers recently informed us that there are still a few available seats for the various optional activity tours, such as the Movie Site tour and the 17 Mile Drive tour. If you're interested in going on one of these tours, you should contact the Reunion hosts, Rob & Christien Petrie, as soon as possible, either by phone at 831-643-0438 or by email at [email protected]. ORGANIZED TOURS. You probably have already signed up for a tour or two. To refresh your memory, tours being offered include: (1) Whale Watching Tour; (2) 17-Mile Drive Tour; (3) Movie Location Sites Tour; (4) Tour of Monterey Bay Aquarium; and (5) Wine Country Tour. BRIDGE TOURNAMENT. A two-part bridge tournament will be held —a social bridge tournament on Tuesday, the 25th (entry fee $25 per person); and a duplicate bridge tournament on Wednesday, the 26th (entry fee $30 per person). Play will be at 1:00pm – 3:30pm both days. MEALS. Your registration fee includes dinners on Monday, Tuesday, and Wednesday and breakfast on Tuesday and Wednesday. GALA BANQUET. A welcome reception and dinner hosted by ASC will be held on Tuesday evening. The reception runs from 6:00 p.m. till 7:0-0 p.m. followed by the dinner from 7:00 p.m. till 10:00 p.m. This will be a formal cocktail attire event. EXTENDED STAY. Attendees have the option of checking in up to three days earlier and checking out up to three days later at the same special group rates. AND DON'T FORGET TO BOOK YOUR MARILYN MONROE SPA. 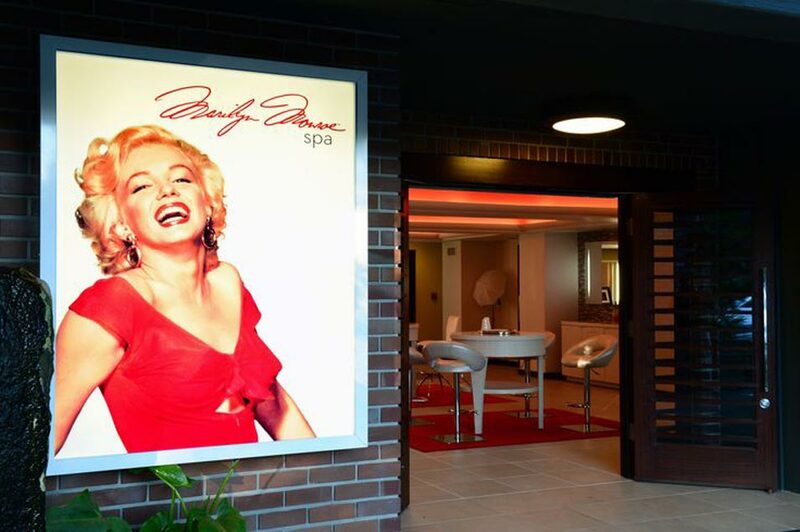 Call +1 831 657 6734 or visit the Marilyn Monroe Spa site on arrival.